Jump to the top of Google rankings and ensure your website is at the top of the search engine results, for potential new customers actively searching for information about the services you offer. 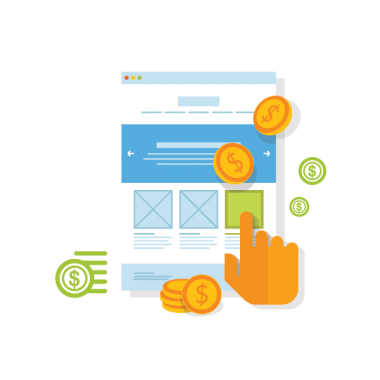 Our Pay Per Click campaign strategies are entirely designed to meet the needs of our clients and their specific market. We provide up-to-date Pay Per Click services including, Paid Search Ads (Google Adwords), Video Advertising (YouTube) and Social Media Advertising (Facebook) or whichever online marketing platform you wish. The key advantage of Pay-per-Click advertising is that you only pay for people who are interested enough in your treatments and services to click your advert, so the traffic you receive is highly targeted and highly relevant. We deliver results that help to achieve the business objectives of our clients. We manage each of our clients’ accounts on a daily basis and constantly monitor bid prices and budget to make sure we are maximizing ROI from the PPC ad spend. Our outstanding results are due to the complex approach which includes a detailed overview of our client's business, services offered and aspirations for Pay Per Click advertising, as well as review of all the options and recommendation of a prioritised online advertising strategy. Get your practice(s) a positive ROI through our PPC search advertising. Spend money wisely – use the most targeted and cost effective form of advertising - all managed by our highly skilled team. Turn your valuable ‘potential customers’ into ‘loyal customers’. Our team of professionals will help you re-engage customers who have already expressed an interest in your services by developing a strategy to turn 'visitors' into active customers. We offer individual display marketing strategies so you get practice brand exposure, engagement and conversions from website views to patient bookings. We can successfully manage both direct response campaigns and practice brand awareness / development campaigns. YouTube is now the second most used Search Engine after Google and virtually untouched by many businesses. We are experts in this highly engaging online advertising format and our video production team is ready to help you to stand out from your competitor busiensses by creating video adverts that will increase your practice brand’s awareness. "Pay-per-Click advertising is not about blindly reaching every Internet user; it's about sending a targeted message to potential customers who are already looking for a business just like yours."